March is National Nutrition Month! You may think eating healthy is very complicated and restrictive, but it doesn’t have to be. You don’t have to learn to survive off three lettuce leaves and chia seeds to be healthy. 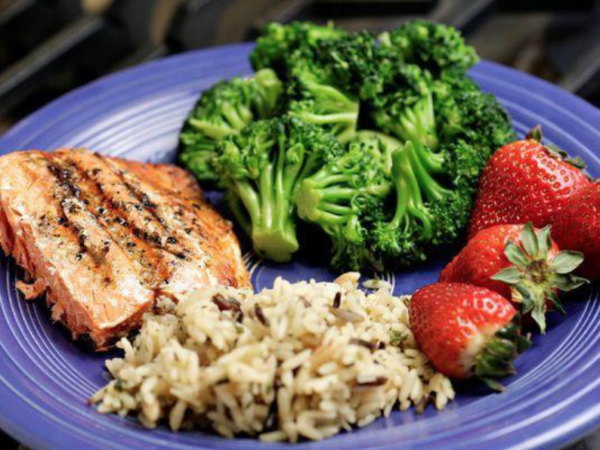 If you follow a few simple tricks, you’ll have a balanced, healthy diet. 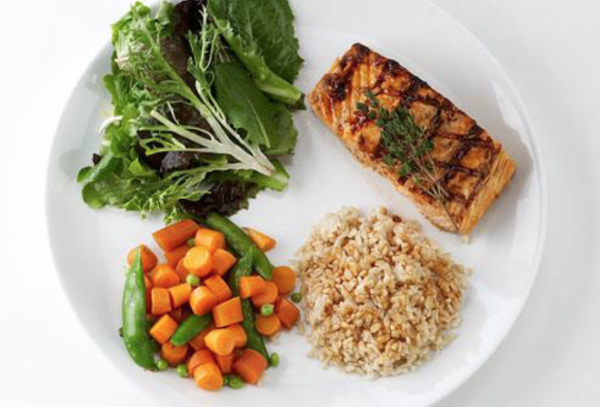 MyPlate guidelines state you should make half your plate fruit and vegetables, and the other half should be divided between carbohydrates (like starchy vegetables or whole grains) and protein (like chicken, fish, or other lean meats). No one eats “perfectly” all the time. Sometimes you want something indulgent, and that’s okay. Just make sure you balance things out in your meal. Try to always have some color on your plate. For example, if you are craving a burger, order it with broccoli instead of French fries, or order a half portion and pair it with a salad or vegetable of your choice. If you want the whole “burger experience,” make sure your meals are lighter and leaner the rest of the day. You have lots of choices! Treat every meal as an opportunity to nourish your body because that’s exactly what it is. There is no such thing as “perfect eating.” There is only what works for you and what doesn’t. would; rather, it means to choose different foods within each food group. With our fast-paced lifestyles, it may seem easier to consume the same foods day-in and day-out. However, this may cause some nutritional concern. 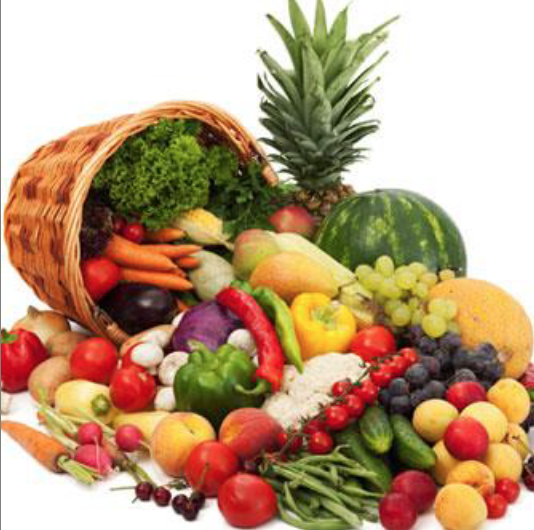 Different foods provide different vitamins and minerals. When we consume the same foods over and over, we are not allowing our bodies to obtain all the nutrients it needs. For example, you don’t always have to reach for an apple as your fruit. Try bananas, papayas, strawberries or oranges. The possibilities are endless! Eating the same thing every day can get boring, enjoy your meal times by choosing a variety of foods. Keep an eye on your portion sizes as well. Moderation is the key. Be aware of how many calories are in the foods you eat and any beverages. Some of the nutrition facts may surprise you. Just because s omething is high in sugar or calories doesn’t mean you can’t have it, though! It only means you have the information so you can portion it out in a way that fits your needs. If you want to fit cake into your day, knowing an estimate of the calories will help you decide how much you want to have. Don’t forget to listen to your body. It takes about 17 minutes for the signal to reach your brain that you have eaten. It can take a little bit to realize you’re full. Slow down, and check your hunger cues. If you’re still feeling hungry, you can reach for more food. If you’re full, then you can save any leftovers for later. Always give your body what it needs.